Episode 8 of the AMC-TV series Rubicon opens with Ed and Will playing chess outside. It’s great at first – but it has a cost. After a while, you realise that your mental life is oddly depleted. Creative thoughts don’t come to you any more. You are running on the imaginative store you built up before Provigil, and whizzing through it efficiently, but you aren’t inventing anything new. That part of your brain is undernourished. You feel fast and flat. A car alarm went off in the street and I endured it for a moment or two, but then looked up — waiting, hoping for it to stop, and soon. After a few more seconds it did and I went back to my reading, but as I refocused on the book I saw that I was already on page 237. I’d only been reading for about twenty minutes. That last quote is from Alan Glynn’s novel, The Dark Fields. Woot! AMC-TV’s Rubicon Blog Links Here! They also link to a Stephen King column in which he recommends Rubicon. Welcome fellow Rubicon fans! Either scroll down the Category or see the direct links to past posts below. 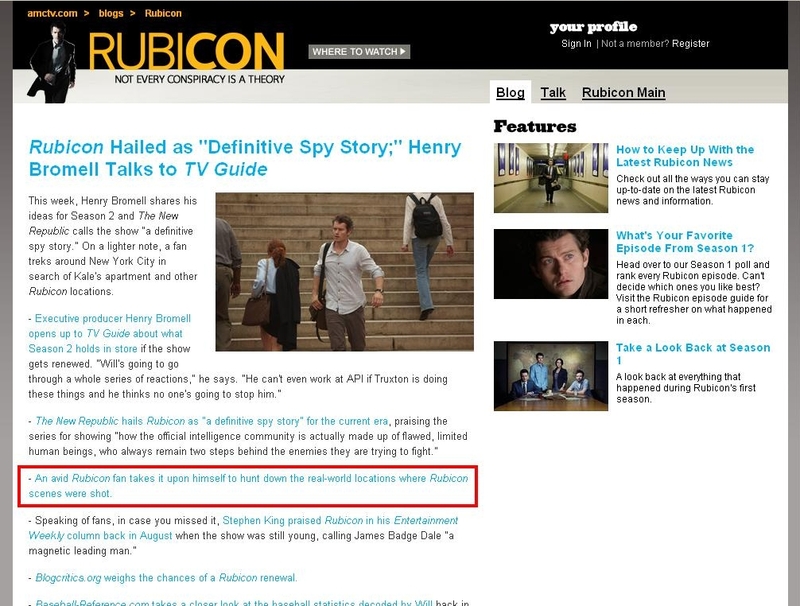 Thanks, AMC-TV and Rubicon blog! I hope we get an announcement of a second season soon. Hello Again, AMC. Now Renew Rubicon! Hello, AMC! Now Renew Rubicon! AMC-TV’s Rubicon Messes With My Head! Yeah, Baby! I Start At API Tomorrow! Amazon, despite the iPad being out there for quite some time now, suddenly posted a comparison between its eInk screen and LCD screens. Amazon tried to paper this over by saying customers requested it. Srsly? If you are not familiar with the words of A. Lincoln, clicky. It was never a must go to site to begin with, but after announcing it with a bit of fanfare, Sony’s Words Move Me site now redirects to a Facebook signin page! I don’t know when it went away. Sony communicates like the old (and unmissed) USSR: when it wants to and always poorly. 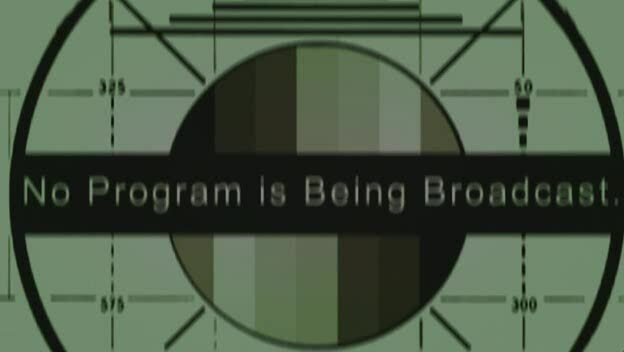 By the way, the link to their own blog there is busted too. If I ran Sony, I’d be deducting a hefty fine from Steve Haber’s salary for such negligence. This is why Sony keeps losing: no attention to details. Of course I can’t resist a kick to Sony’s shins. Look at how the developer of the Words Move Me site touts its success. What does disappearing it do to those “sentiment points,” eh? They can say what they like. It was a rotten site for anyone who actually read books. Time Magazine named The Windup Girl by Paolo Bacigalupi as one of its ten best novels of the year. And the book has also won an extraordinary five of 2010′s major international SF awards: the Hugo, Nebula, Locus, Compton Crook Award and John W. Campbell Memorial Award. Someone came here looking for Tanya MacGaffin’s tattoo, from the AMC-TV series, Rubicon. I have no idea what it is. I’m surprised makeup didn’t cover it. I also don’t know what the red band on her left wrist means.